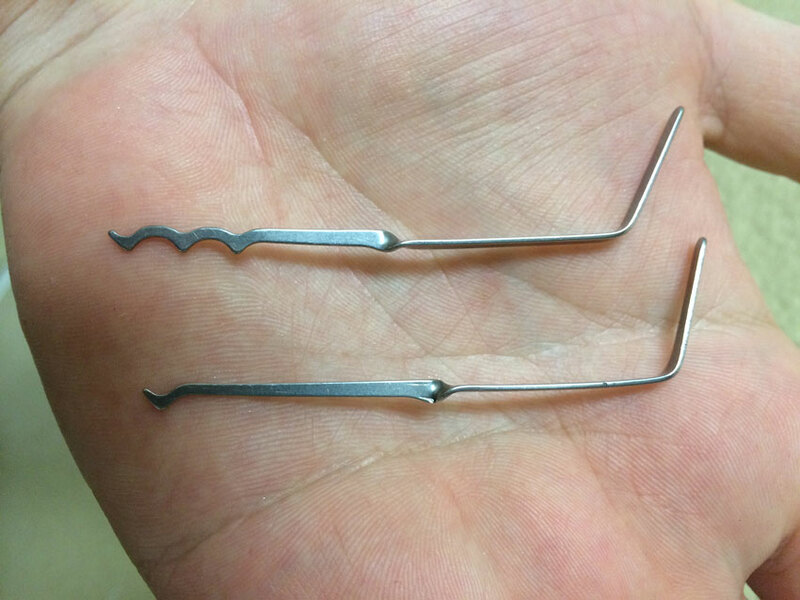 To start off this story, I’d like to give you a brief history about my experience with lock picking. 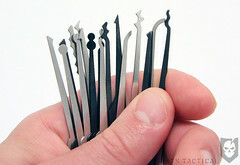 I was introduced to lock picking by movies and television, like most of us are. 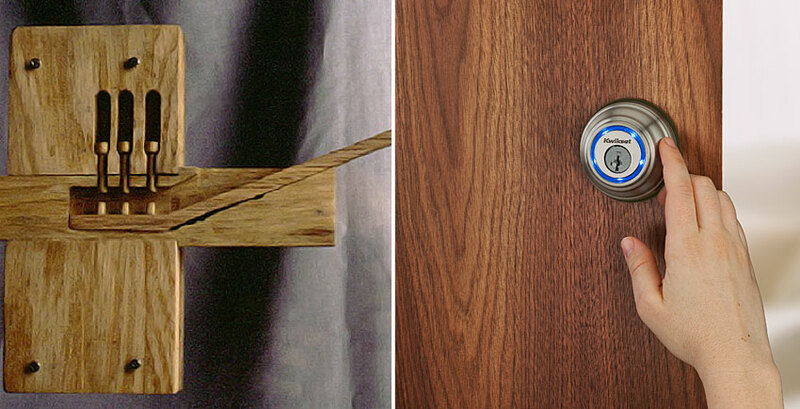 Often, the action star (or assassin) would carefully pick a lock to gain access to a secret room. Being part of the tech generation and as I got older, I would look for videos online to grow my skill base. Those skills weren’t just lock picking, but all areas where I felt I might one day need that skill. 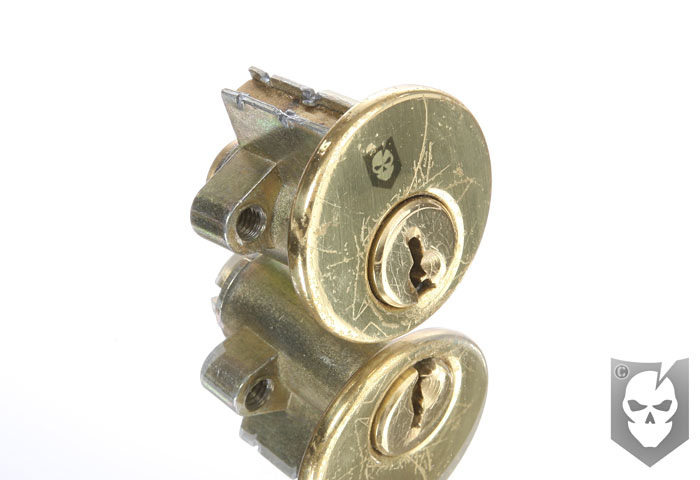 When I picked my first deadbolt, it was as exciting as solving a difficult puzzle. I saw that ITS carried a lightweight multi-sided basic pick set (Bogota Entry Toolset) and I immediately messaged Bryan to get a set. Since then, I’ve kept the Bogota picks in my wallet at all times. Randomly, I’d pull them out and practice on my deadbolt at home. Often, this included being made fun of by my wife for being nuts, but I didn’t care because I knew I might need the skill one day. On October 17, 2013 I received a text message from my sister that read, “Dad isn’t picking up his phone. I’m worried.” My uncle then called me and told me that he saw my father yesterday. They were about to go golfing, but my father said he wasn’t feeling well. He also told me that my father wasn’t answering his phone. My father is 75 years old and a very strong, stubborn and healthy individual. He lives on his own in a second story apartment, is a competent driver and routinely goes golfing several times a week. But knowing his age, we were aware an accident could happen at any moment. I told my sister to call his apartment complex and have the maintenance guy go check on him. She messaged me back to say that no one there was picking up the phone. When she finally got a hold of them, they told her the maintenance guy was on vacation and the property manager was sick at the hospital. This ultimately meant that there was nobody around who had a key to my dad’s apartment. They did manage to get in contact with an off-site manager, but without a key, she was only able to go knock on my dad’s apartment door. Needless to say, nobody was able to get into my dad’s apartment and check on him. I began to panic. The off-site manager asked me if they should call the police or get some one to kick the door down. I told her to stand by because I would get there faster than the police. After telling work what was going on, I took off. On my way there, my adrenaline was pumping. I began to tunnel vision, which is also something that seems to happen to me when training with firearms. I took some long, slow and deep breaths and gathered my thoughts. My mind was automatically fixating the worst possible situation; finding my dad dying on the floor. I realized that my lack of medical ability and knowledge would leave me helpless if I found him in such a state. My cousin-in-law John McClain (yes the name of Bruce Willis’ character on Die Hard), who, like me, also worked for Rifle Dynamics, is a competitive shooter and an EMT. I realized I should call him and ask him for some advice. I told him the situation and he just happened to be on his normal route with his ambulance. He asked me where my father lived and said he would meet me there. I got to my dad’s apartment in what seemed like a blink of an eye and John rolled up in his ambulance at the exact same time. I made my way upstairs to his door and knocked loudly, yelling for my father to open the door. There was no response. I saw the single dead bolt lock and quickly pulled out my wallet. After some fumbling around, I found my Bogota lock picks. Apparently, adrenaline was keeping my fine motor skills from working. I set up the tension wrench and began to pick. I took me literally 5 seconds to pick the lock. As I turned the lock to unlock the deadbolt, I looked at John and asked “ok, are you ready?” He said yes and I opened the door. I was only able to open the door about 3 inches, as my father had fallen and crawled to the door for help. His head was right behind the door. At the time I didn’t realize it, but what would’ve happened if I had tried to kick the door instead of picking it? My father would’ve suffered some sort of head injury for sure. I got out of the way for John and his partner and they went to work. They called the fire department and shortly after, rushed him to the emergency room of the nearest hospital. His condition was so severe that he wouldn’t have made it though the night if we hadn’t reached him. About 2 hours after my dad made it to the hospital, I felt the last bit of adrenaline leave my body and extreme exhaustion set it. I was then able to reflect back at what had happened. It was a combination of skill and mindset that really saved my father’s life that day. If I didn’t have the skill to pick locks and had lock picks on me, we could have lost precious time. Second after second, my father’s life was fading and the police could’ve been miles away. Someone could’ve unknowingly busted the door down or kicked it open causing further injury. Keeping a calm mind and taking long, deep breaths, allowed me to think clearly and help my fine motor skills while picking. It also helped me from panicking while I was driving and made me think about calling John for help. It was a scary thing that happened, but I’m so glad that I was able to do something. How many times do we lack the skill and feel frustrated because we’ve been helpless? I never want to feel helpless. Knowing practical skills like lock picking can one day save someone’s life, as it did for me. I am no master in the art of lock picking, but after this incident, I am forever a student. Editor-in-Chief’s Note: Billy Cho is currently the Production Manager for Rifle Dynamics in Las Vegas, Nevada. 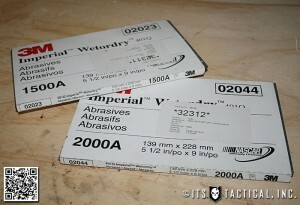 He works to produce some of the finest AR-15 and AK style rifles in the country. Billy not only builds guns but enjoys honing his firearms skills as well. I’m glad to call Billy a good friend and excited to welcome him as a contributor on ITS.